Construction of two 2600mm pumping stations with valve chambers at a depth of approximately 7 metres at Higgins Road and Mortimore Street Bentleigh as part of the Elster Creek South Branch Sewer Upgrade. The pumping stations were constructed via caisson method due to the significant amount of ground water. 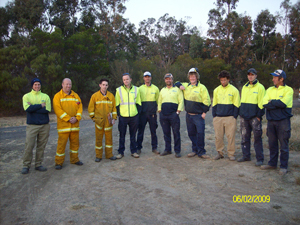 Sanctuary Lakes is the only development within Victoria utilising a vacuum sewer system and the construction of the system is a specialised activity. Construction includes bulk earthworks, roads and drainage works, odavent works, sewer works, electrical works and building works. 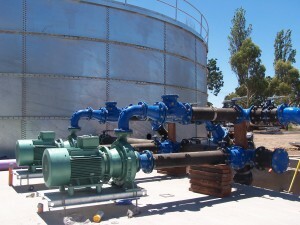 Supply and installation of a pump station and pipeline (approx 4km of PE pipe in 20m lengths) at the Riddells Creek Recycled Water Plant (RWP) to provide Class C recycled water to the Riddells Creek Recreation Reserve (RCRR), a multipurpose recreational facility located in the Riddells Creek Township. In addition, the pipeline will supply two additional users, the Riddells Creek Pony Club and the Sutherlands Road sewage pump station wet well washer by providing offtake points along the pipeline alignment. 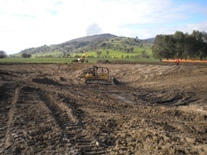 Design and Construction of 1ML recycled water balancing storage, two pump stations and 4km of pipeline facilities for the Lake Wendouree Recycled Water Scheme. 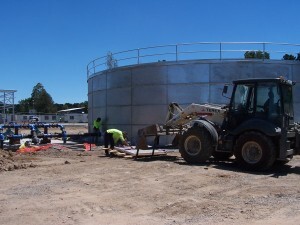 Design and Construction of Walwa Innovative Wastewater Scheme. Scheme involves the piping of septic tank effluent into a conventional lagoon type treatment system. 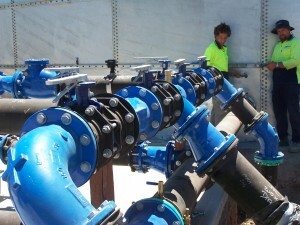 The treated water will be recycled to irrigate the towns football oval. Contract includes one year maintenance agreement. 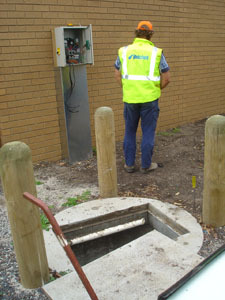 Supply and construction of pump station, electrical works and PE pipeline to supply Marty Busch with recycled wastewater. The wastewater irrigation scheme has the capacity to deliver 300 KL of water per day (40 megalitres per annum) and will save Council tens of thousands of dollars a year in water costs. It will also cut reliance on potable (drinking) water which is unavailable when water restrictions are in force. Supply and construction of pump station, electrical works and PE pipeline to supply Myers Reserve with renewed water and sewer infrastructure.